Eason Searching for New Stationary Designer | SCENE! Eason, Northern Ireland’s leading retailer of books, stationery, magazines, cards and much more have launched Eason Creates Design, a brand new campaign providing a unique platform for third level students to become Eason’s next stationery designer! In the search to find the next top student designer, Eason is giving entrants the opportunity to showcase their work online and in stores across Northern Ireland and the Republic of Ireland. Any third level student with a creative flare is invited to design an original pattern for use on a fresh new range of Eason stationery. The contemporary new range of fashion stationery will be produced with high quality materials and the winning designer will have the opportunity to see their own stationery designs produced, as well as winning a top of the range Apple work station complete with Adobe creative suite. 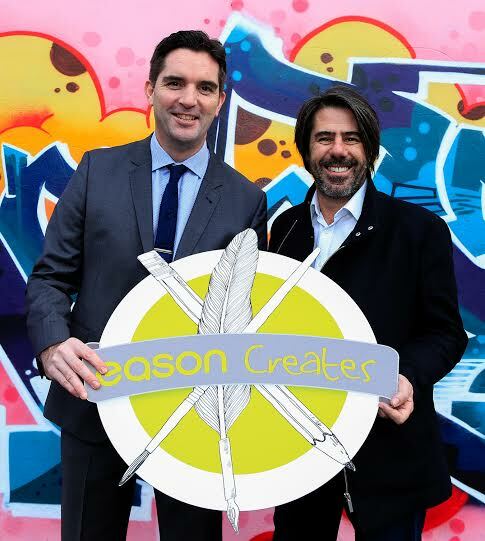 Five entrants from Northern Ireland and the Republic of Ireland will be shortlisted on Eason Edition and a winner chosen in March by a panel of experts in the design industry. The panel includes artist, Illustrator and children’s picture book author Chris Judge, who recently illustrated Roddy Doyle’s ‘Brilliant’ and Jamie Helly, Managing Director and Founder of Dynamo, one of Ireland’s most successful design agencies. So if you consider yourself to be the next J.W Anderson or Oliver Jeffers, send your designs into Eason via www.easonedition.com. The competition opens on Thursday, January 7th and closes midnight Friday, February 19th, 2016.